We know there are many of you who have seen your share of headstones and footstones in the gardens or patios of other peoples houses, and of course there are even a few of you who might have one lying around somewhere. We would like to help you return them without fear of getting in trouble. Don’t worry, send us your headstones and we’ll help them return home, and you can have the great feeling of helping return another headstone home without the fear of persecution. Contact us at admin@cocemproject.org if you would like to communicate with us via email, or just submit your headstone’s information below. Thanks! 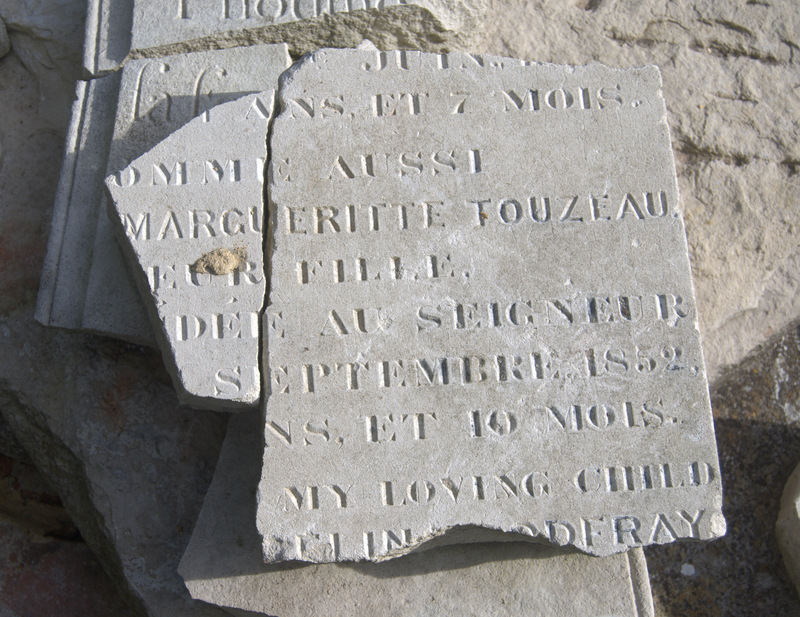 We’re working to put up an index of our current collection of gravestones and fragments online to help spread the information further regarding returning these loved ones home. We will send out a newsletter when this information becomes available and our index (with photos) is published on the website. If you donate a headstone, please don’t forget to sign up for an account with our website so the progress of your headstone’s return can be tracked from your account and through notifications to your email. As of October 1, 2014, we have 38 users who are associated with markers that they have transferred into our collection.